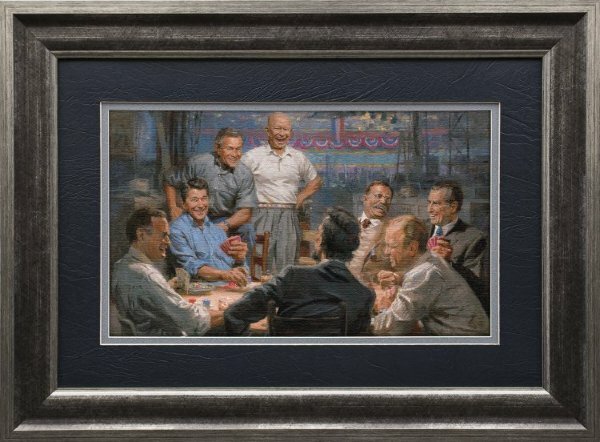 View Framed Image NA 9.75" x 16"
Our Presidents have a uniquely solitary job. They surround themselves with the strength and wisdom of talented and experienced people, but as Harry Truman once said, “The buck stops here.” We can hardly imagine the weight of decisions they must bear. Perhaps that is why we are so familiar with the before and after photographs depicting the accelerated ageing process while in office. These leaders deserve some time to relax and unwind. 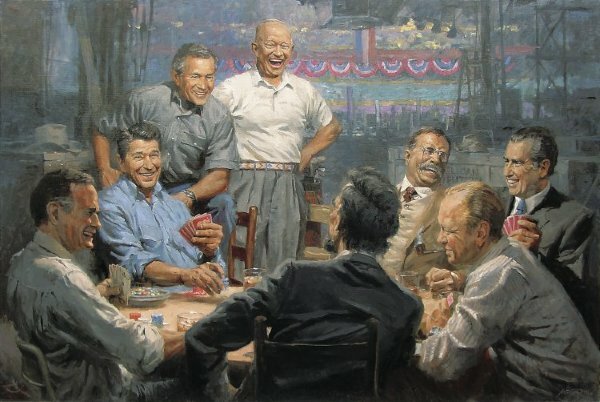 Who do former presidents hang out with? Wouldn’t it be just a great time if they could “let their hair down” together and just have a time to laugh and remember? Can you imagine that?